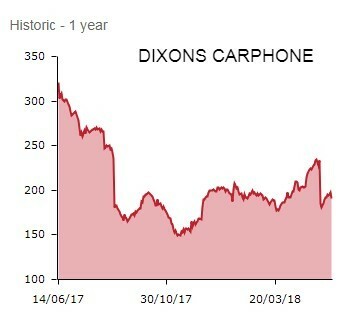 There’s fresh woe for shareholders in retailer Dixons Carphone (DC.) on Wednesday as the European electricals-to-mobiles purveyor reports a damaging data breach that triggers a 5% share price dive to 187.9p. Only last month, new broom Alex Baldock carried out a classic ‘kitchen sinking’ exercise, grounding expectations with a punishing profit warning as he begins to get to grip with his new charge, but there was further bad news lurking in the background. 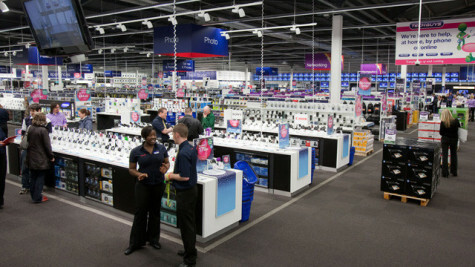 Just weeks after incurring savage downgrades, Dixons Carphone now reveals it has been the victim of cyber crime. New CEO Baldock says the TVs-to-mobile phones specialist has investigated a case of unauthorised access to ‘certain data’ held by the company and found during a systems and data review. ‘We promptly launched an investigation, engaged leading cyber security experts and added extra security measures to our systems. We have taken action to close off this access and have no evidence it is continuing. We have no evidence to date of any fraudulent use of the data as result of these incidents. We have also informed the relevant authorities including the ICO, FCA and the police,’ assures Dixons Carphone, one of Shares’ key selections for 2018 which we concede has disappointed thus far. Worryingly, the investigation suggests there was an attempt to compromise 5.9m cards in one of the processing systems of Currys PC World and Dixons Travel stores, although 5.8m of these cards have chip and pin protection. Compounding the agony is news the investigation has also found 1.2m records containing non-financial personal data (names, addresses or email address) have been accessed by hackers. 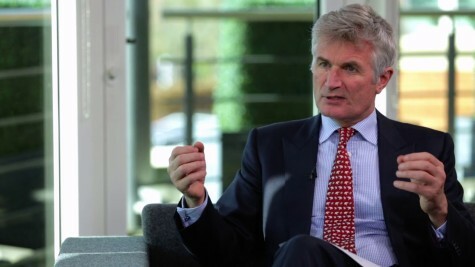 ‘News that 5.9m payment cards and 1.2m personal data records were subject to unauthorised access last year may undermine consumer confidence in the retailer, which already operates in a highly competitive market,’ comments Russ Mould, investment director at AJ Bell. ‘The fact this only came to light now thanks to a review of the company’s systems and data and actually occurred in 2017 is also cause for some concern. 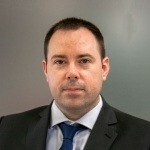 ‘Having successfully reset expectations for the group with a profit warning in May, albeit at a cost to the share price, new chief executive Alex Baldock is under pressure to deliver. Dixons Carphone’s headline pre-tax profit of around £382m for the year ended 28 April 2018 will meet market expectations, but the result will be well down on last year’s £501m. Current year profits are expected to fall to roughly £300m, well short of previous expectations amid cost increases, problems in the mobile phone business and ‘further contraction’ in the UK electricals market.